A mix of clouds and sun early followed by cloudy skies this afternoon. A stray shower or thunderstorm is possible. High 76F. Winds SSW at 5 to 10 mph.. Scattered thunderstorms early, overcast overnight with occasional rain likely. Low 57F. Winds SSW at 10 to 15 mph. Chance of rain 100%. Madison County deputies arrested a Richmond man on several Madison County indictment warrants on Monday that charge him with two counts of first-degree controlled substance trafficking (2 grams or more of methamphetamine), controlled substance trafficking (heroin), two counts of controlled substance trafficking (carfentanil or fentanyl derivatives), first-degree controlled substance possession (drug unspecified), buying/possessing drug paraphernalia and no registration plates. 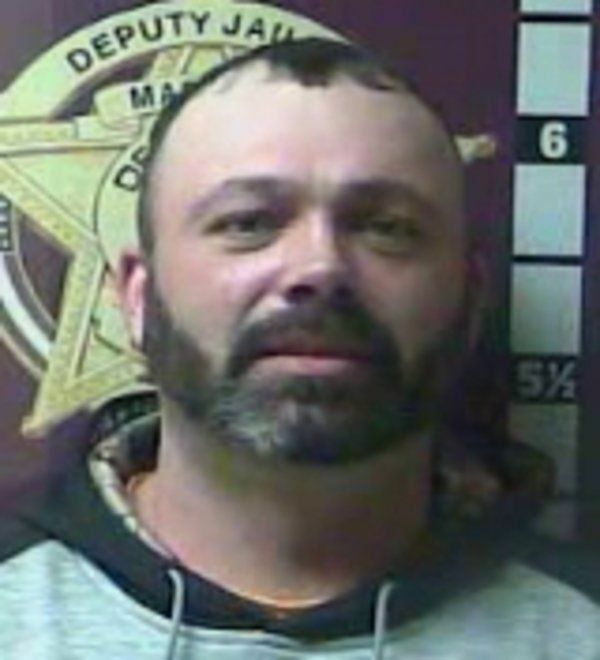 Kevin Spivey, 36, Four Mile Road, Richmond, was also arrested on Madison County warrants for first-degree bail jumping and contempt of court. 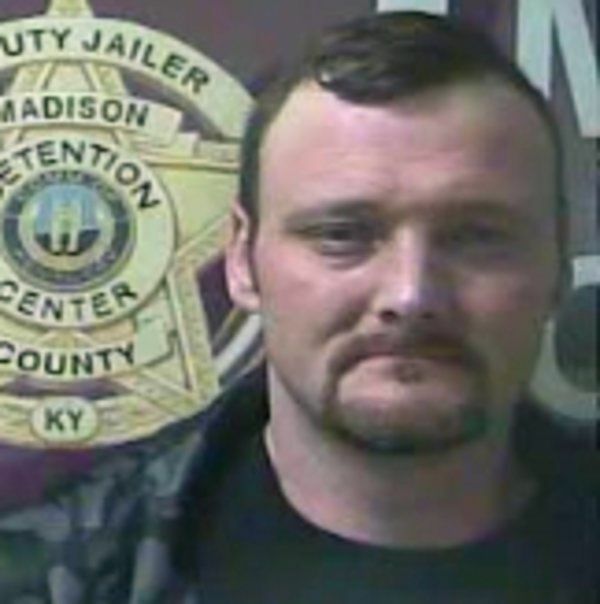 He was arrested at the Madison County Sheriff's Department and was taken to the Madison County Detention Center, where he remained Tuesday afternoon, according to online jail records. Richmond police arrested Khareem Franklin (no image available), 19, North First Street, Richmond, for first-degree wanton endangerment after he allegedly pointed a gun at another person at IHOP Tuesday. Officers were called to the eatery, where it was reported that Franklin was in an argument with another person, according to a citation. Witnesses told officers Franklin then pulled out a handgun and pulled the slide back as if to chamber a bullet. Witnesses then said Franklin pointed the gun at the person he had been arguing with, the citation states. Officers found the gun that Franklin had, which witnesses confirmed was the same gun. Franklin was then taken to the MCDC, where he remained Tuesday afternoon, according to online jail records. Richmond police arrested Cindy Davila, 20, Foxhaven Drive, Richmond, Monday for fourth-degree assault (child abuse) after officers were called to her home to assist social services with a child abuse complaint. When officers arrived, Davila was talking to social services through an interpreter and admitted to striking a 2-year-old with a belt on the side of the child's head, according to a citation. Davila said she struck the child because the child wouldn't go to sleep. The child told officers the same thing. Davila told officers it was accidental, and she wasn't aiming for the child's head, the citation states. Officers noticed a large welt/bruise on the 2-year-old's forehead/temple area. Davila was taken to the MCDC, where she remained Tuesday afternoon, according to online jail records. Richmond police arrested Danny Marcum, 35, unknown address, Tuesday afternoon for first-degree criminal possession of a forged instrument, theft by deception (less than $500) and third-degree controlled substance possession after he allegedly tried to purchase desserts from a restaurant using a fake $100 bill. Marcum bought $5.07 worth of dessert, including tax, with the bill and received $94.97 in change, according to a citation. After Marcum left the restaurant, staff learned the $100 bill he paid with was counterfeit. The bill was not on normal currency paper, had characters scratched off it and did not pass a marker test, the citation states. Officers responded and learned Marcum also was wanted on two warrants for failure to appear. As officers arrested Marcum, restaurant staff said there were pills on the ground under the table he had been sitting at, the citation states. Officers collected eight pills identified as gabapentin. Marcum told police the pills were prescribed to him, but when asked why they weren't in a prescription bottle, Marcum said he has too many medications to keep up with the bottles. Marcum then said he threw the pills on the floor because he didn't have a bottle to keep them in, according to the citation. Marcum was taken to the MCDC, where he remained Tuesday afternoon, according to online jail records. Berea police arrested Anthony Johnson, 38, Gabbardtown Road, Berea, for first-degree controlled substance possession (heroin), tampering with physical evidence and giving an officer false identifying information Monday morning after officers learned he was wanted on warrants for failure to appear and probation violations. Officers received information that Johnson was on Miracle Street, and went there to speak with him, according to a citation. Johnson then told police he was someone else. Johnson then said his ID was inside his wallet, and he gave officers someone else's driver's license, the citation states. He eventually admitted to being Johnson. Officers arrested Johnson on the warrants and was handcuffed behind his back, according to the citation. Johnson said he had a pre-existing shoulder injury, so officers switched the handcuffs to his front, and while doing so, they found a wet piece of paper in his hand that contained suspected heroin. Johnson was taken to the MCDC, where he remained Tuesday afternoon, according to online jail records.